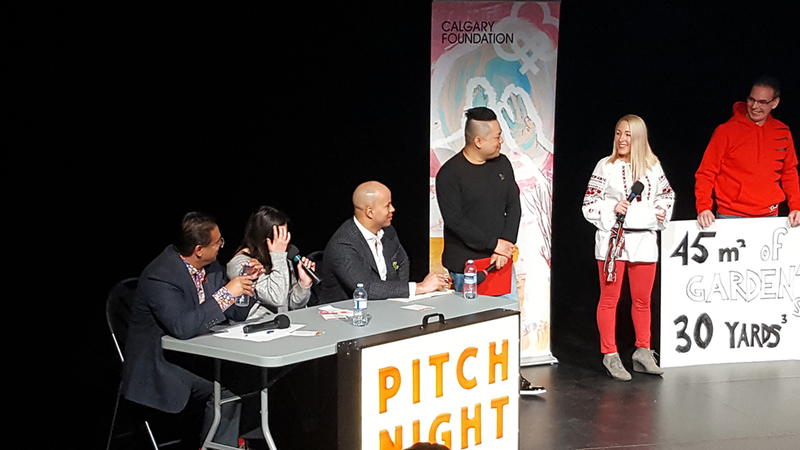 Thanks to generous funding from the Calgary Foundation and a stellar presentation by members of our staff and students, CIES’ GROW program has received funding for expansion throughout both its Forest Lawn and Whitehorn schools in 2018! 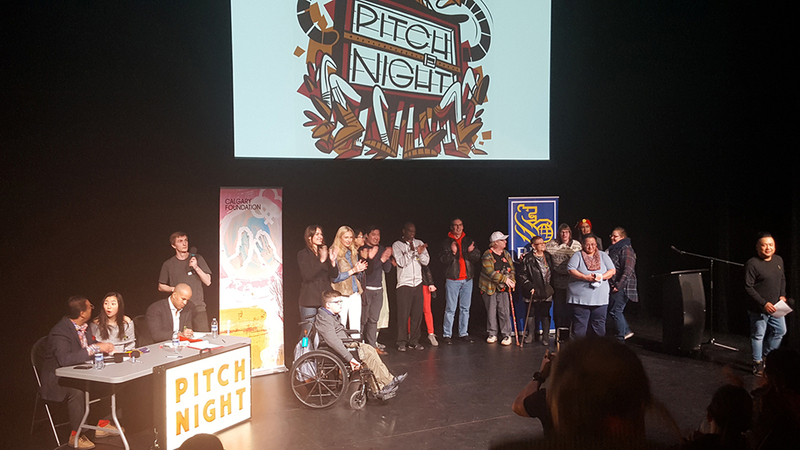 This will be the first year that the program takes place in Whitehorn, with 2017 being the inaugural growing season in Forest Lawn. 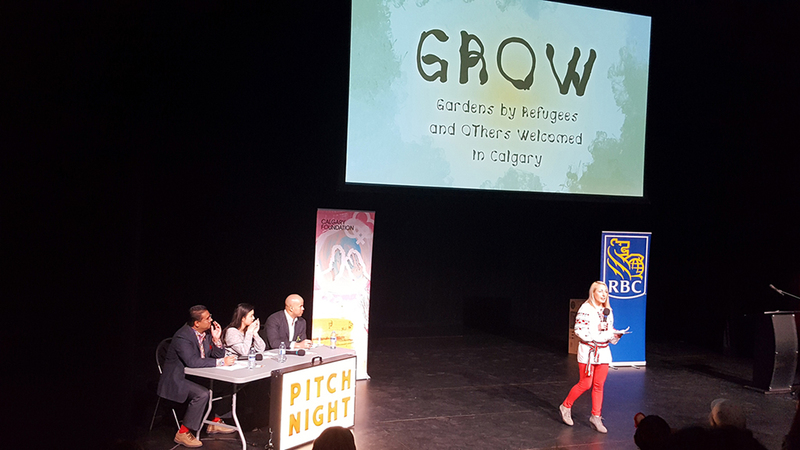 Funding for GROW’s second season was secured at the RBC Foundation and Calgary Foundation Neighbour Grants LIVE Pitch Night – an event held at the brand new Shane Homes YMCA at Rocky Ridge on Saturday, April 14. 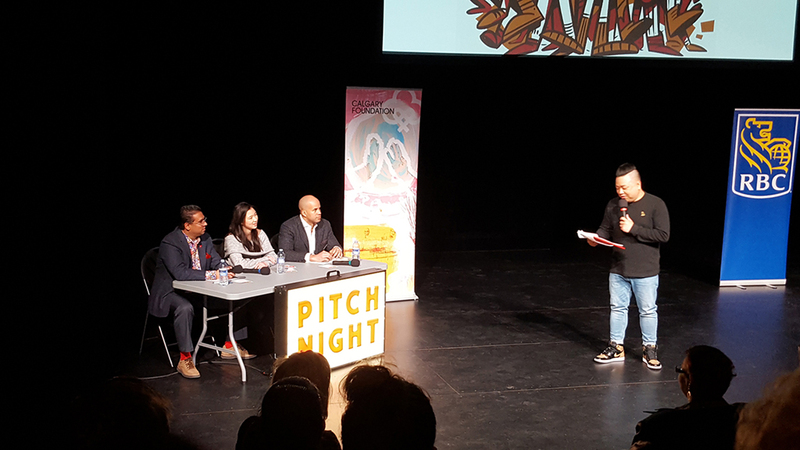 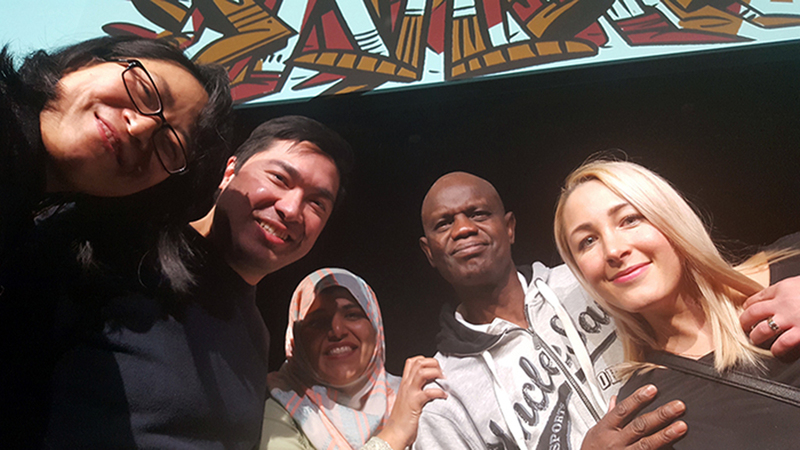 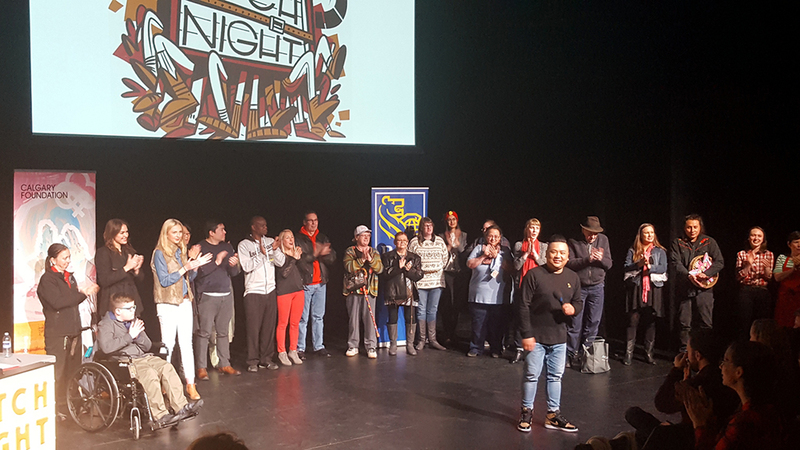 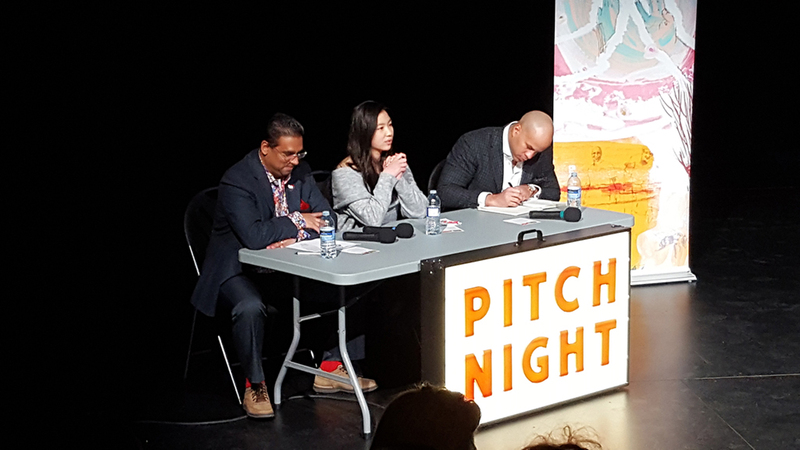 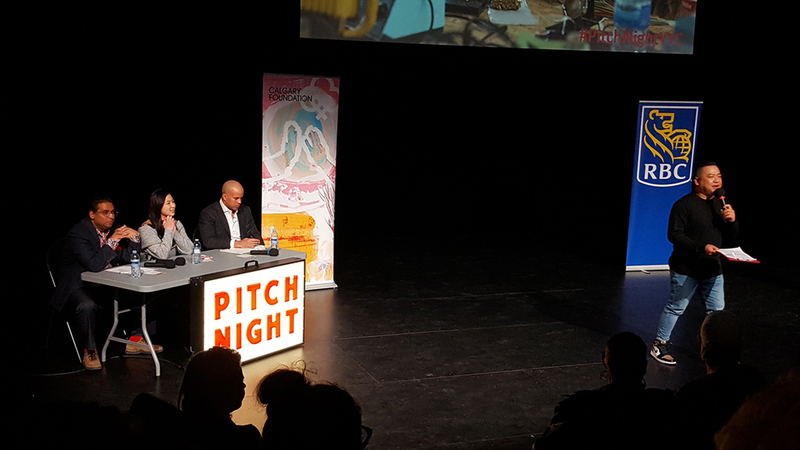 Hosted by Andrew Phung, star of the CBC comedy Kim’s Convenience, and moderated by a group of 3 panelists, including Jon Cornish, former star of the Calgary Stampeders, the event was a sold-out evening of community spirit and inspiration. 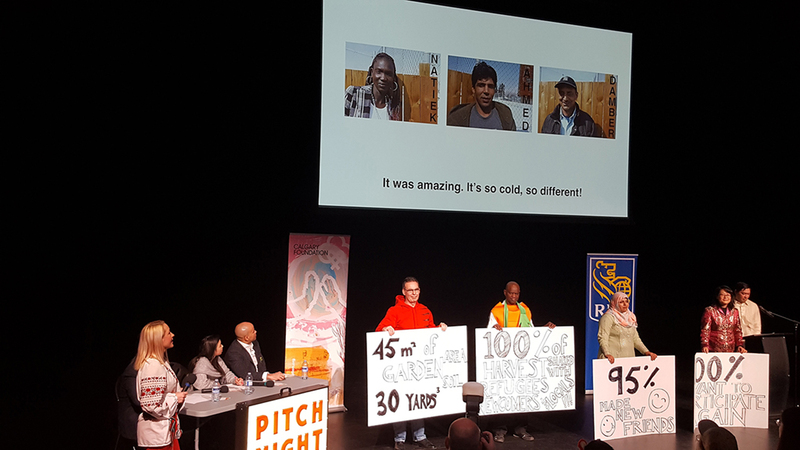 10 groups from various community organizations around the city took to the stage to give their best pitch as to why they should receive funding to realize their proposed programs, with only 5 receiving the funds to go ahead. 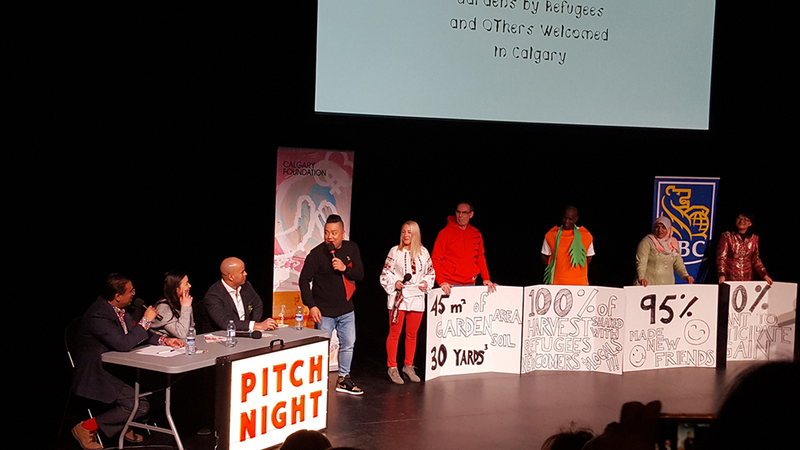 CIES delivered a pitch that was both compelling and funny, with well-deserved credit going to GROW 2017 students Natiek, Ahmed, and Damber, who generously recorded their experiences in GROW for the presentation. 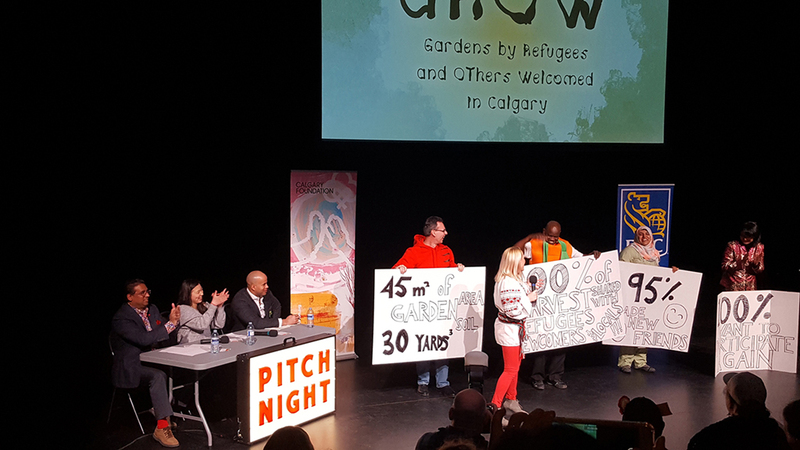 Because GROW has secured funding for a second season, the program will be expanded to CIES’ Northeast school at Whitehorn, while continuing to operate in Forest Lawn. 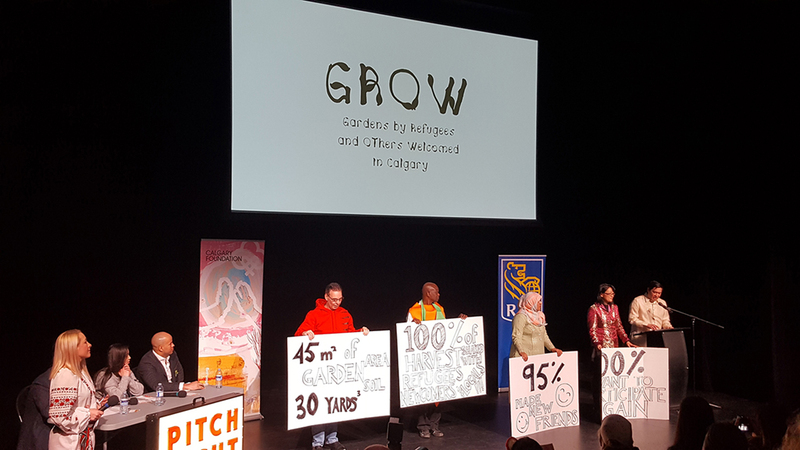 Raised garden beds will be installed to the south and west of the school, providing valuable space for students to plant a beautiful harvest of fruits, vegetables, and flowers. 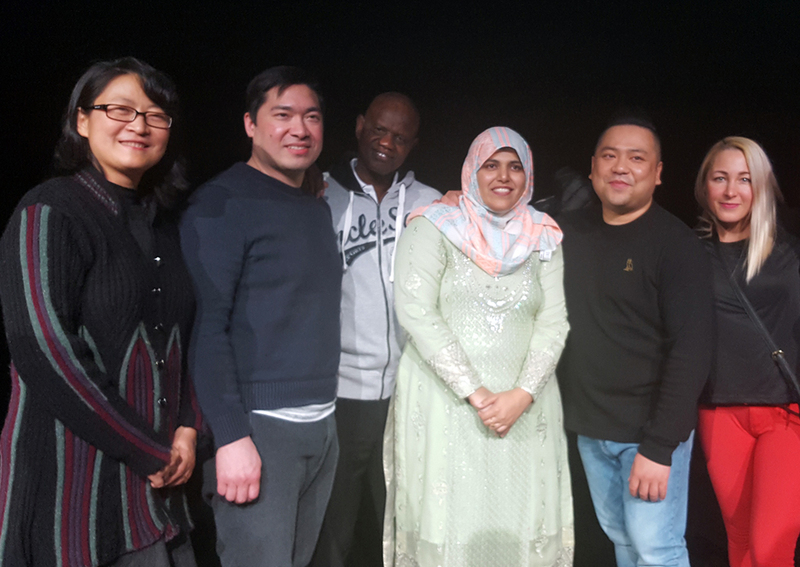 At the end of the growing season, a harvest feast will be prepared by and shared among staff and students to enjoy the fruits of their labour. 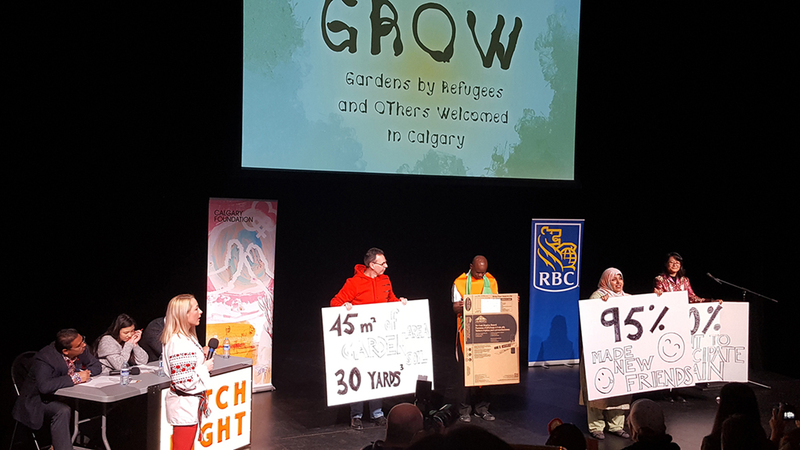 GROW provides a valuable opportunity to learn about growing food in Calgary, the benefits of nutrition and a healthy lifestyle, and, of course, beauty.